The bucranium, or ox skull, was used as a symbol of ritual sacrifice in early Mediterranean cultures, and grew to be a popular motif of Augustan art. 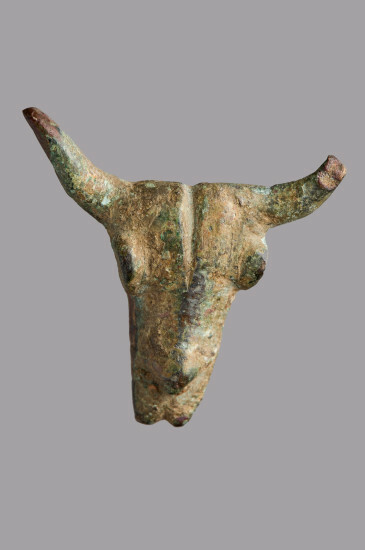 An allusion to state religion and ritual sacrifice, this symbol would have been easily recognizable in the 1st and 2nd centuries CE. 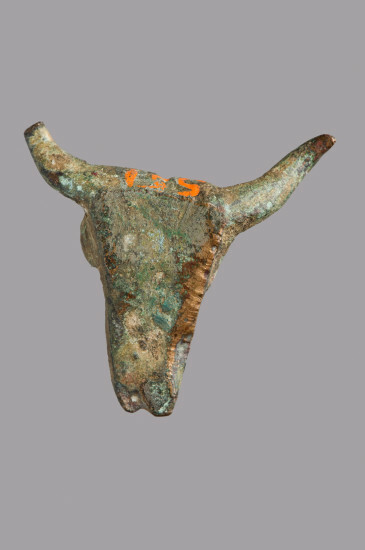 The small bucranium seen here may have originally served as a decorative detail on a larger metal object used in the Roman house. However, the smooth back of the object suggests that it was carried in a pouch or displayed on a flat surface.